As we close out 2010, I want to thank you for reading and sharing my blog. This is a labor of love for me, and it has been fun to share my thoughts and engage with you. I truly understand my position as an observer, commentator, and (sometimes) a critic. I am not on the front lines in fraternity/sorority life anymore, and so I take my own thoughts with a grain of salt. It's certainly much easier to try and be provocative from my position, whereas most of you live the realities of the fraternal experience daily. In other words, I have tremendous respect for you. I hope that the opinions expressed on this blog can be a contribution to the movement, but I know that the real difference-makers are the students, advisors, and professionals working hands-on every day. I am thankful that you are there. Have a wonderful holiday season. 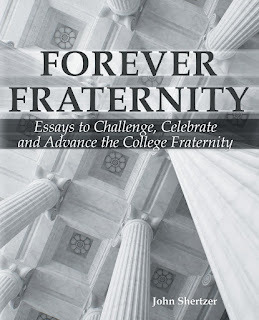 Let's all make 2011 the best year yet for fraternities and sororities!